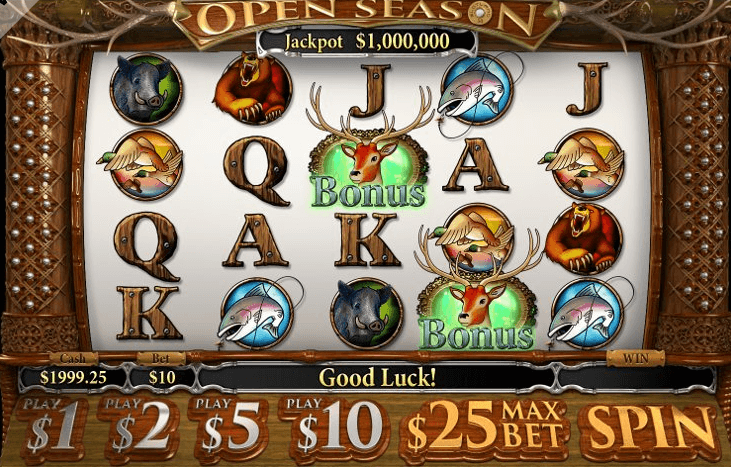 Slotland Casino presents Open Season, a hunting-themed video slot in 5×4 format with 50 paylines. The slot offers Stacked Wild symbols and three exciting bonus features including up to 15 Free Spins with sticky Stacked Wild Symbols! Win real money playing this fun slot today.